Note: This article is for use by Billing Administrators or those club members that handle billing and invoices. 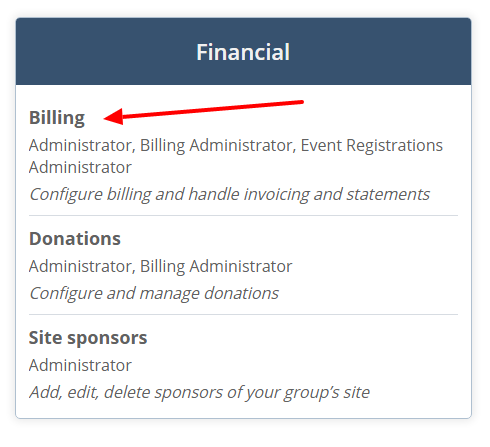 This function is to assign member types to members for billing purposes. 3. Click the red Settings icon and select the Configure option from the list. 4. 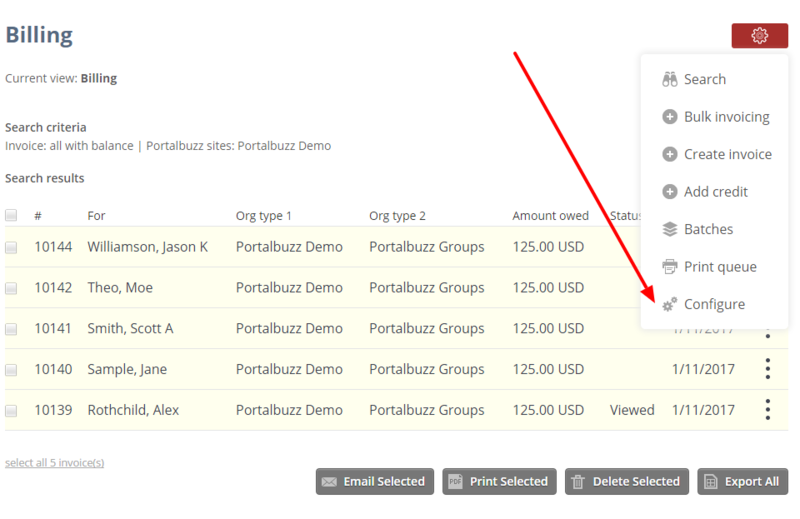 On the Billing Configuration page, locate Member type assignment then click the Configure button. The next screen allows you to see all members and their member types. 5. To edit the member type of all members, click the dropdown button to select a particular member type then click the Assign to all button. Click Return to configuration button to go back to the Configuration page. 6. To update the member type of a particular member, click the pencil icon on the right of the member's name. A pop-up window will appear. 7. Click the dropdown button to select a member type then click the Save button.